An All-Inclusive Perspective about human existence on the surface of planet Earth. What is Reality? The Golden Gate Bridge is real, Pacific Ocean is real, Sun is real. The Sunset is not real. Can man experience the Reality? How would Reality impact man’s existence? The social scientist Bruno Latour, from France’s “Institut d’ Etudes Politiques de Paris” was in New Delhi, India and spoke about what it means to be modern with Deep K Datta-Ray of Times of India. In essence, I support his view and there is a need for a new approach; the use of irrational belief and not that of scientific rational belief. CAN SCIENCE PROVIDE EXPERIENCE OF REALITY? 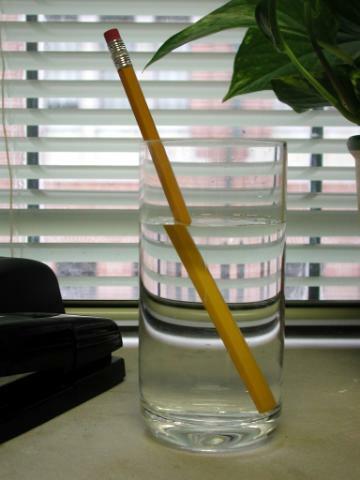 Pencil in Water Illusion. Can Science influence the nature of Perception? The Perception of bent Pencil is caused by the properties of Light rays. Science can only explain the reason for this Optical Illusion. Science has no Power to eliminate the Illusion. The only way man can experience the Reality of this Pencil would be that of changing the State of Pencil’s Conditioned Existence. It is easy to remove the Pencil from Water and experience the Reality. But, can Man remove himself from his Conditioned Existence and experience Reality? It would be totally irrational to believe that Science could provide the experience called Reality. Science is not POWER/FORCE/ENERGY which operates in the natural world. Science provides information to understand things and it has no power or force to influence things. Science may reveal the understanding of the nature of Reality and such revelation could be of no use in the context of human existence on planet Earth as man lives because of illusionary experience of the world and the universe in which he exists. The speed of earth’s motion can be described in two ways; 1. 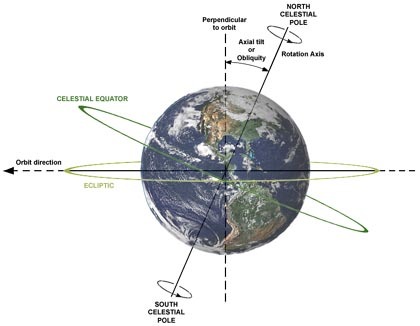 The Angular Speed: The earth rotates 360 degrees in 24 hours and the speed is 1,000 miles/hour. 2. 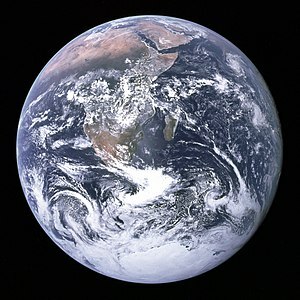 The Linear Speed: The distance earth travels is 584 million miles per year. The Linear Speed of earth is 66, 660 miles/hour. Science may explain the fact of the speed of a point on the surface of the earth but can not force man to experience the Reality of that Speed. Man exists on the surface of the earth without ever experiencing the Reality. There is no physical experience of this basic Reality. There is no direct mental experience of this fundamental Reality. Man may intellectually visualize this Reality by understanding the facts explained by Science. If the human brain and body is constantly engaged by the fact of earth’s motions, the Reality of earth’s Angular Speed and Linear Speed, man would immediately experience a mental breakdown and would not be able to function as a living organism. Just think about the sense of fear, anxiety generated by a brief event like earthquake. The Subjective Reality of man’s Physical Existence on the surface of earth is sustained, is supported, and is protected by a Fundamental Force called Gravitation. Because of the operation of Gravitational Force man is virtually saved from any experience of Earth’s motions. Man only experiences the environmental changes caused by Earth’s motions. Further, this Subjective Reality of man’s Physical Existence is governed by a FORCE/POWER/ENERGY that causes an illusionary experience of Sun’s movement across the sky. Science would explain the Reality of Sun’s motion at a speed of 155 miles/second. But, man exists on the surface of earth with no physical or mental experience of Sun’s true or real motion. What man experiences is the apparent motion of Sun and experiences Sunrise and Sunset. Science may explain the Reality and teach us the fact of Sun shining with brightness all the time. Man has invented stories and has created folk tales about Sun’s Journey in the Sky. The Reality described by Science does not govern human existence. The biological activities, the Biological Rhythms( Circadian/Diurnal/Solar Rhythms) are synchronized with the experience of ILLUSION and not that of Scientific Reality. Man’s existence on the surface of planet Earth and the duration of his life’s journey is measured by the internal Biological Clock. The time duration is measured by the alternating periods of Light and Darkness, the experience of Day and Night, the experience of Sunrise and Sunset which drives the Biological Rhythm. In Reality, the Sun is shining with brightness at all times during the entire length of man’s life journey. Man gets no chance to experience that Reality and the Biological Clock is not influenced by that Reality of Sun shining at all the hours of man’s earthly existence. Man can not exist on the surface of physical earth if he has direct body or mental experience of the Reality explained by rational Scientific Belief. The very nature of human existence in this vast universe can not be rationally understood. There is no evidence to suggest that Life could be discovered in other parts of our universe. There is no chance that man could find an opportunity to leave the Solar System and find a Home in a different part of the universe. Man has no control over the structure and organization of the universe. Man has no choice other than that of accepting the conditioned nature of his energy dependent existence with no other place to call as Home. Rational beliefs have no role and do not define the status of man in nature and in the universe. It is more likely that man’s existence could be supported by an irrational belief in Ultimate Reality, which operates the POWER/FORCE/ENERGY which delivers MERCY/GRACE/COMPASSION to spread a veil of ILLUSION to defend man from the direct physical or mental experience of Reality of the Universe in which man lives. Man can only exist in this Universe if he does not directly experience the Reality of this Universe. Man’s earthly existence is defended by ILLUSION and Science has no Power to provide man a chance to experience Reality which is hidden by the ILLUSION. The social scientist Bruno Latour , from France’s Institut d’Etudes Politiques de Paris (Sciences Po), was in New Delhi and spoke about what it means to be modern with Deep K Datta-Ray . Why do you argue that Western Europe has never been modern? A move away from the pre-modern, which is a period of embroilment and entanglement of everything but when one looks at the practice of science in a laboratory, as i did, this division is revealed as false. Scientists are very much entangled in their culture and this culture is not pristine, untouched by other cultures and practices. The real history of Europe therefore is one of a constant interaction, a mixing of Peoples, various cultures and the material. What does this mean for our understanding of what the modern world actually is, how institutions thought of as quintessentially modern function? There’s very little on how today’s world actually functions. Instead there is the official story of modernisation. Meanwhile, there is a prominent discourse in India about modernisation. My argument is that the baseline for understanding modernity requires interrogation, which destabilizes expectations of what a modernising society should do. Traditionally, the moderns criticised the supposedly archaic, symbolised by the East. Everyone wanted to become modern – but my work demonstrates that being modern was never as clear as presumed. So, when India begins to modernise what happens? There is a double instability – of an uncertain baseline and then what happens when that is implemented in a society far away and especially in an institutional setting and in an area so close to the state such as governance. So there has to be more work on this. This is especially important because there are so many more people here, it is possible to have institutions of a different complexion altogether, of alternative ways instituted here. India is a reservoir of alternative interpretations of what the global is and these ways of viewing the world need to be exposed. Could it also be said that the idea of a universalizing ‘modern’ rationality is not necessarily European but became dominant in Europe? For that there has to be more work on the non-western world. Regardless of place, there have to be thicker descriptions of practice, of what the modern world actually is, how do banks work for instance, because all we have is the utopian description of how modernity functions. The dream of utopia killed descriptive work because the focus was on a universalizing rationality, not how rationality actually plays out in practice. It should be clear that I’m not saying the East is somehow different, exotic. If one looks at the works of Newton to Einstein they were never scientists in the way modernity understands the term. What are the implications of this type of work on politics? Well, politics cannot keep to the scientific ideal quite simply because science in practice meant our moving from the country to the city and getting progressively disconnected from nature. But now one cannot discuss anything without thinking of the whole. Science was supposed to take us out of the cosmos and into a universalizing rationality but that has produced all sorts of problems which are being corrected today by new approaches which are reminiscent of the non-modern, such as the politics of nature. This is a cosmological approach, one that ties in everything to make a decision. 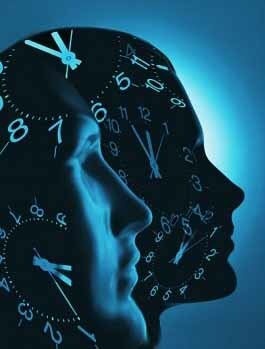 Pingback: THE USHERING OF THE NEW YEAR – THE PERCEPTION OF TIME | Bhavanajagat. Pingback: THE POWER OF ILLUSION – ‘MAYA’ IS A FUNDAMENTAL FORCE | Bhavanajagat. Pingback: THE MAGIC OF CREATION AND PROTEIN SYNTHESIS | Bhavanajagat.